Pink Floyd music is dynamic. Depending on your mood, you hear a different song – whether it be the lyrics or the melody. If you’re down, hungover, or tired, you hear the depressing lyrics, you perceive the sad lyrical allusions, and you go deep into the song’s melancholy vibe. If you’re happy, alert, or well-rested, you hear the complex audio undertones, cheerful phrases, and subtle minute sounds. And if you just listen to the lyrics without looking into the meanings, you hear a strange, ridiculous, story about all sorts of random things. A lesser-heard gem from the enlightening album Wish You Were Here, this stagy guitar licking song is filled with more of a lighter fare than the breadth of Floyd songs, and it stands out as one of their more “standard rock songs”, but it still manages to have some interesting allusions and lyrics. At first it might be a little hard understanding why I chose Sorrow. It starts with such a rough entry into the track that it seems like it’s going to be a slow song. But the patient listener will be struck with a bolt of musical juice at one minute forty-five (1:45), when it really picks up and changes tempo. This illustrious track features cowbells, guitar slides, and pig noises (what do you expect from a song on an album called Animals) and is a three verse song that present three different “pigs” as the topic of discussion. Through the midpoint, David Gilmour utilizes a Heil talk box to mimic pig noises through his guitar, as a break point between the three types of pig archetypes Roger Waters finds: Dogs, Pigs, and Sheep. This track is part of a bigger story set in the world of The Wall, and alludes to themes and tones found throughout the album. Extra credit if you listen to this album while watching V For Vendetta. 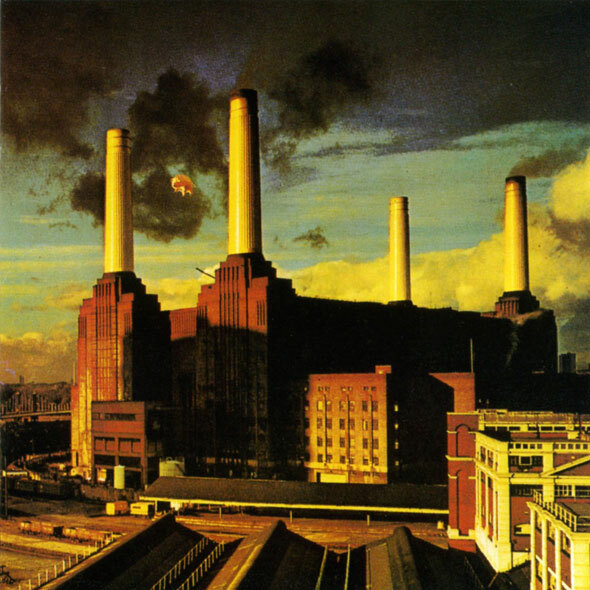 Originally demoed as Raving and Drooling, Pink Floyd’s Sheep has a slight resemblance to the Doctor Who theme song, features a vocoder spoken parody of the Bible passage Psalm 23, poking fun at the phrase “The Lord is my shepherd” and even suggests that we can, “Through quiet reflection and great dedication, Master the art of karate“. Towards the end, right before the sheep “baas”, it has some rock riffs that sound like something Jimmy Page from Led Zeppelin would have devised, but all in all this song is a worthy ballad. 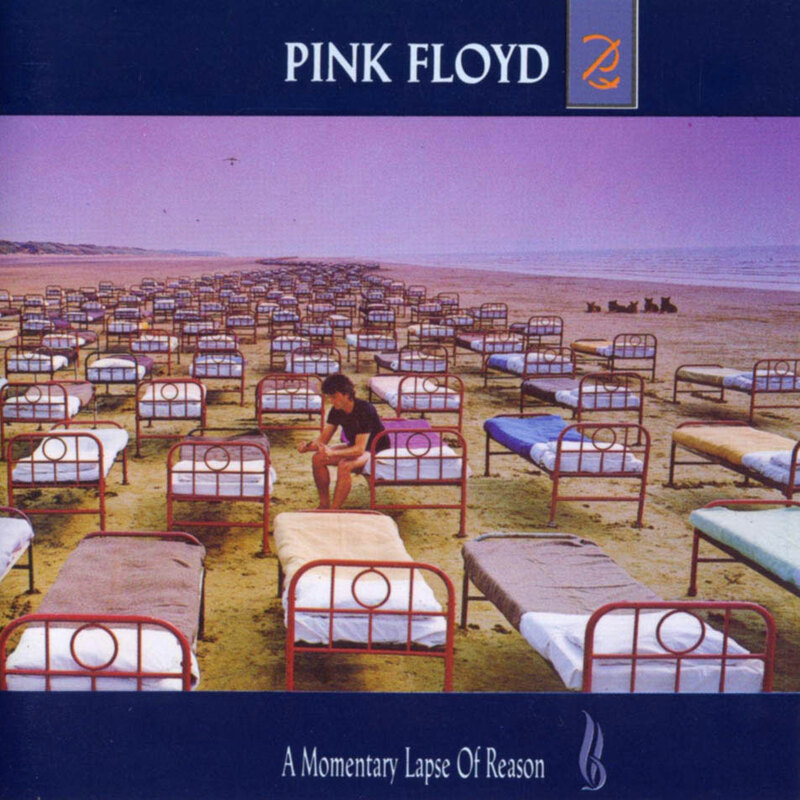 Echoes was one of the early extended songs that Pink Floyd is famous for. They just play and play and play – and the track keeps going and inspires you to keep going. With experimental melodies that just worked, Floyd floats most of the song in C-sharp minor, and some of the most unique noises (like the seagull sound) were actually caused by accident – David Gilmour had mistakenly reversed his wah-wah pedal, creating the scary atmosphere of a bird in despair. Another interesting aspect of this song is the rumor that it matches up concurrently with the final segment of the 1968 film 2001: A Space Odyssey, very much like the idea that Dark Side of the Moon synchronizes with the Wizard of Oz movie. Either way, you can’t go wrong with Stanley Kubrick and Pink Floyd mixed together – so try it out! The epitome of an overmedicated patient, Pink Floyd’s Comfortably Numb starts as a casual conversation between what appears to be a stressed individual and their doctor or therapist. As the song progresses, the narrator starts to become more lost in their fever, and are slowly overcome by their sickness and its cure. The title is such a great juxtaposition of ideas, an apathetic or detached being who seems complacent in their current state. The soul of this song is enriched by guitar-god shapes of seemingly never-ending melodic metal. The lyrics of this song fit into an industrialized world of fear – the kind of thing that haunted industrialized England and Europe, World War 2, 60s America, Thatcher-fascism, and the ever-impending Dystopian Future. It reminds us all that no matter how successful, wealthy, or social we can be, we are all still part of a bigger machine. This song’s theme transcends generations with its message about keeping our humanity, as well as the fear of losing it. Movies like The Matrix, 1984, Equilibrium, Brasil, Aeon Flux, are just a small chunk of pop culture that strike the same vein – and warn us about our road to conformity (if it ever comes!). We originally did the backing track over the course of several days, but we came to the conclusion that it just wasn’t good enough. So we did it again in one day flat and got it a lot better. Unfortunately nobody understood the desk properly and when we played it back we found that someone had switched the echo returns from monitors to tracks one and two. That affected the tom-toms and guitars and keyboards which were playing along at the time. There was no way of saving it, so we just had to do it yet again. In the end, the two songs stand up on their own, and the remastered Shine On You Crazy Diamond, Parts I–VII is also a nice track to dive into. Treated as a sort of sewn-together track, Brain Damage / Eclipse are two Pink Floyd songs that are connected for life. Much like the Queen track duo We Will Rock You / We are the Champions, it’s almost a sin to play these songs by themselves. Mixed into the dark, insane asylum patient lyrics, there is the overlay of an almost church-like choir of background singers, the frightening giggle of some lunatic, and voices in your head. For people who take pride in their sanity, this song almost makes listeners believe that they are going crazy. This song is an unusual and strange look into the mind of a tortured soul. 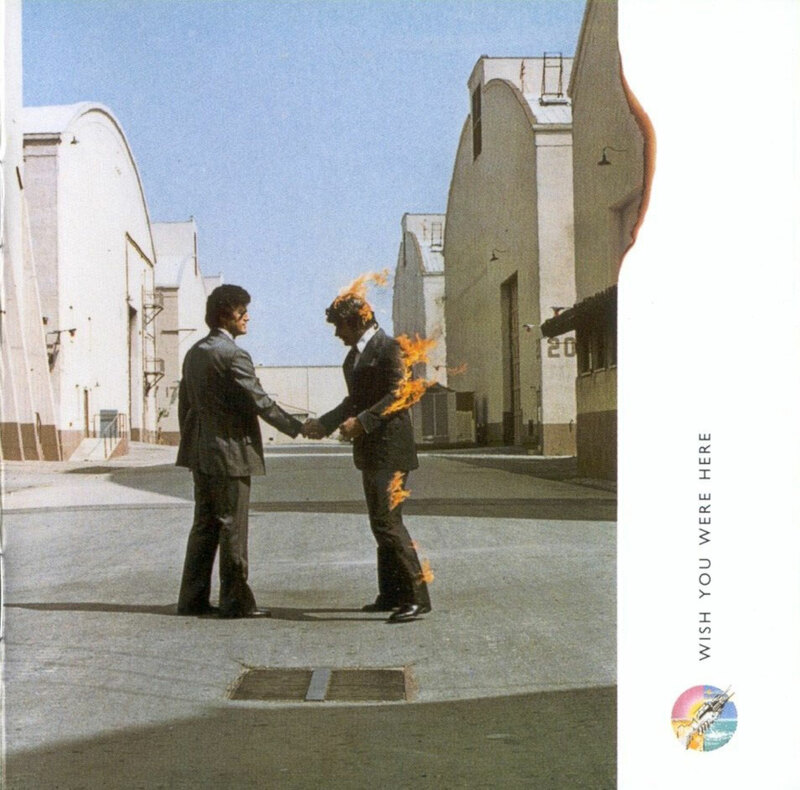 Released in late 1975, Pink Floyd’s stunning ninth album Wish You Were Here was a mix of tour-exacerbated depression, heavy exploration of the downsides of the music business (see: Have a Cigar up higher in the list), and the painful absence of Syd Barrett following his mental illness and drug-related issues. It’s no coincidence that four of their greatest songs in our list come from this album. It also features a marvelous mix of different instruments that keep the song active throughout the piece. Overall, it acts as a vessel for reminiscing, remembering, and retrospecting, allowing the ear to follow a the tone of loss, life, and death. It’s cathartic in multiple directions. Please enjoy these tracks and look for more great Pink Floyd songs – there are so many!